Think you’ve got to go to Barnstaple or beyond to buy computers and accessories? Think again. Here in Bideford, we stock a range of new and refurbished laptops and computers, as well as accessories, components and software to keep things running smoothly. For your peace of mind, we only stock products that we know and use from brands and suppliers that we trust to provide quality products. 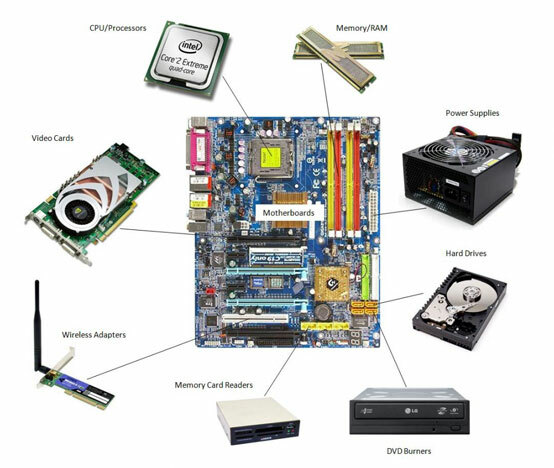 Here at Complete Computing we stock a range of new and refurbished computers suitable for all requirements, including touch screen computers and all-in-ones. 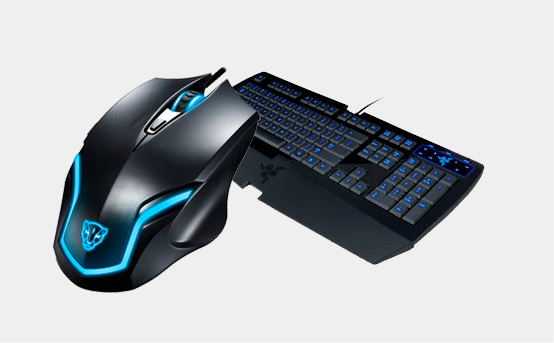 From simple machines for word processing and surfing the internet, to powerful gaming setups, we’ve got something for everyone. 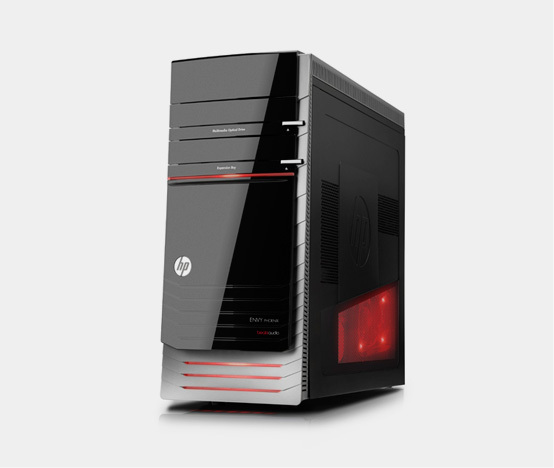 Stock changes frequently, however we regularly stock machines from brands including Samsung, Sony, HP, Lenovo, Acer and Asus. 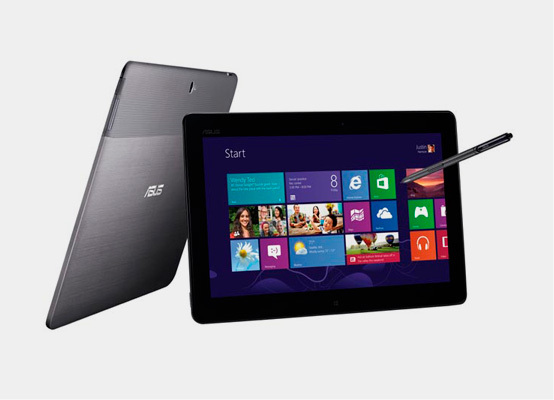 If you’re looking for something portable, check out our range of laptops and tablets. Not sure what specification you need? No problem, simply pop into our shop in Old Town Bideford, and we’ll be happy to talk you through your options. Whether you’re looking for a simple and affordable laptop for school or college work, or a high performance machine for gaming, video editing or animation, we’ll have something to suit your requirements. 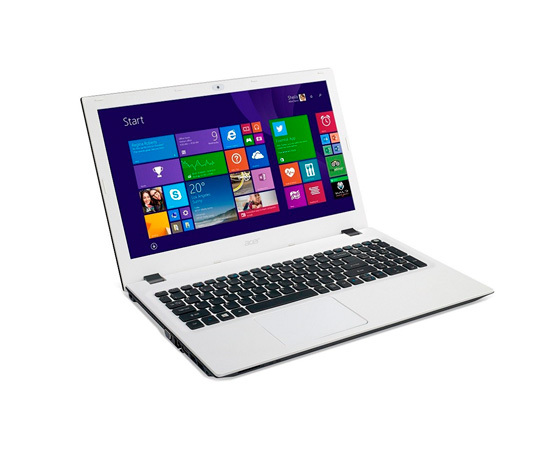 Stock changes frequently, however we regularly stock laptops from brands including Samsung, Sony, Lenovo, Acer, Asus and Toshiba. Browse through our stock below, or call into our shop in Bideford to take a look at the machines yourself. We’ll discuss your budget and requirements and show you machines most suited to your needs. Stock changes frequently, however usually we have screen sizes from 7” to 10.1” in store, from a selection of major brands. In recent years, printing technology has developed considerably, making high quality printing affordable to the mass market. Here at Complete Computing in Bideford, we stock a range of inkjet and laser printers for home and office use, including wireless printers and multi-all-in-one (print, scan and copy) printers. Brands include Brother, Epson, Samsung and Dell. We also stock branded, compatible and remanufactured ink and toner, as well as plain and photo paper. Run out of ink? Don’t worry about going all the way to Barnstaple or battling supermarket crowds, call in to see us at Complete Computing in Bideford. We stock branded, compatible and remanufactured inks and toner for all major brands of printer, including Brother, HP, Canon, Epson, Kodak, Dell and Samsung. Looking to upgrade your printer? We stock a range of quality inkjet and laser printers for home and office – view printers. External Hard Drives, SD Cards, and USB Storage – Keep Precious Files Backed Up! 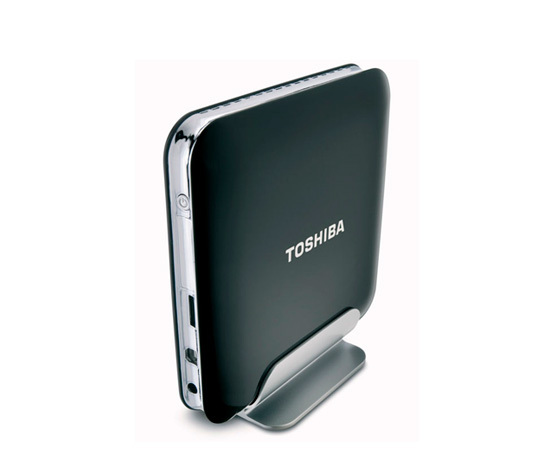 External hard drives, SD Cards, and USB drives are essential devices for your home and office. Think how you’d feel if your computer, laptop, phone or camera got stolen or damaged and you lost your precious files! Portable USB Hard Drives offer an instant solution to add storage to your computer, back up files, or take data with you on the go. With a USB external hard drive, you simply plug the device in to your computer and drag-and-drop your files to save them. Secure Digital (SD) is a non-volatile memory card format developed by the SD Card Association (SDA) for use in portable devices such as phones, cameras and video cameras. We stock 8GB – 64GB memory cards. USB drives are incredibly handy for keeping files with you on the go. Simply plug the USB into your computer and drag and drop files to save them. Their handy size means that they can be kept in your pocket or on a keyring so that you can save and share files between computers and printers. Our range of external storage include products from top brands: Kingston, Seagate, Toshiba, western Digital, Hitachi, and Team. Here at Complete Computing in Bideford, we stock a quality range of batteries, cleaning products, laptop bags and tablet accessories. Batteries: Coin cell, AA, AAA, rechargeable and 9V batteries from leading manufactures such as Duracell and Panasonic. Cleaning Products: Screen wipes, Foam cleaner, air spray and microfiber cloths to remove dirt and fingerprints. 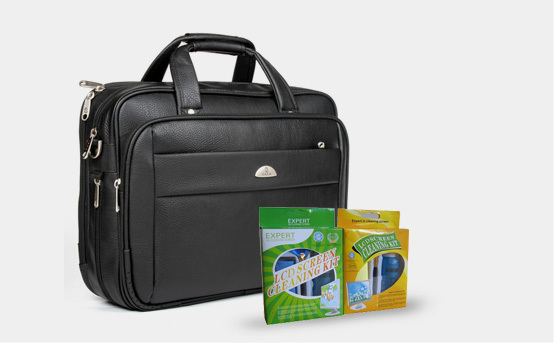 Laptop Bags: Protective carry cases for 15.6, 17, and 19 inch laptops. Tablet Accessories: Styluses, screen protectors, sleeves and cases for all tablet sizes. All products that we stock are trusted by ourselves to deliver long lasting, quality performance. Brands include: KF2, Asus, Gigabyte, Hitachi, Toshiba, Western Digital, Kingston, Corsair, Samsung, Lite-On, Evolabs and Coolermaster. 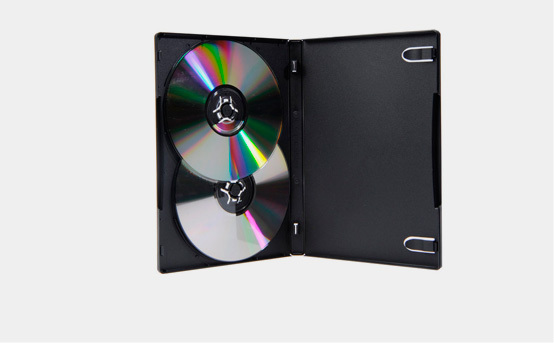 Browse our range of blank CDR, DVDR, and dual layer DVDR disks for writing and storing media. We also stock a wide range of paper for inkjet and laser printers, including standard, gloss, and matte paper in A6, A4, 6x4 and 7x5 formats. Here at Complete Computing in Bideford’s Old Town, we have some great deals on refurbished HD and LED monitors. 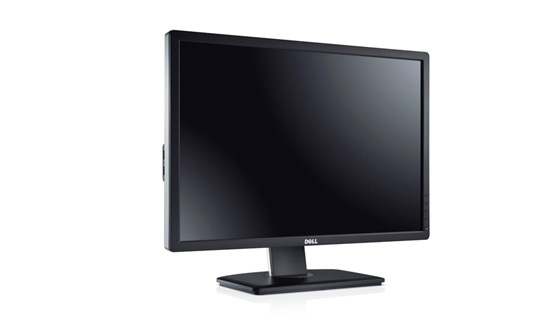 Our range of new monitors come with at least a 2 year onsite or manufacturer warranty. We stock monitors with screen sizes from 18.” – 26” 18.5 to 20 inch as well as monitor mounts and arms. If you have any questions or would like to view any of the monitors listed below, please call us or pop into our Bideford Shop – Contact Us. Buy products online or come and collect from our store in Old Town, Bideford. 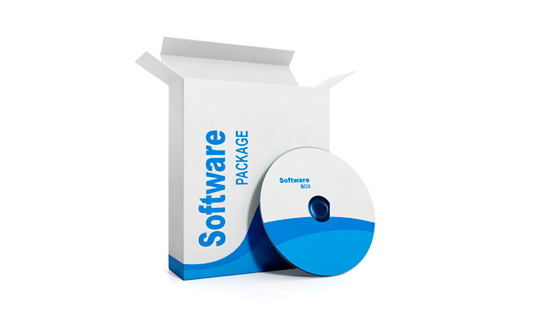 A reliable anti-virus programme and a good office suite are essential tools for all computer users. 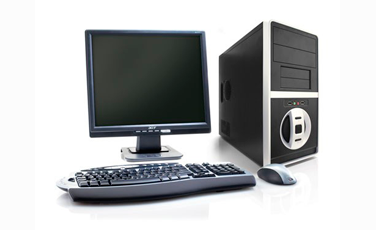 Here at Complete Computing we stock a range of genuine office suites and operating systems to keep things running smoothly for all users. Office suites we stock include: Microsoft Office 365, MS Office 2013 Home and Student, and MS Office Home and Business. We trust anti-virus programme BullGuard to detect and remove viruses quickly and efficiently, and stock subscriptions for 1-3 computers.